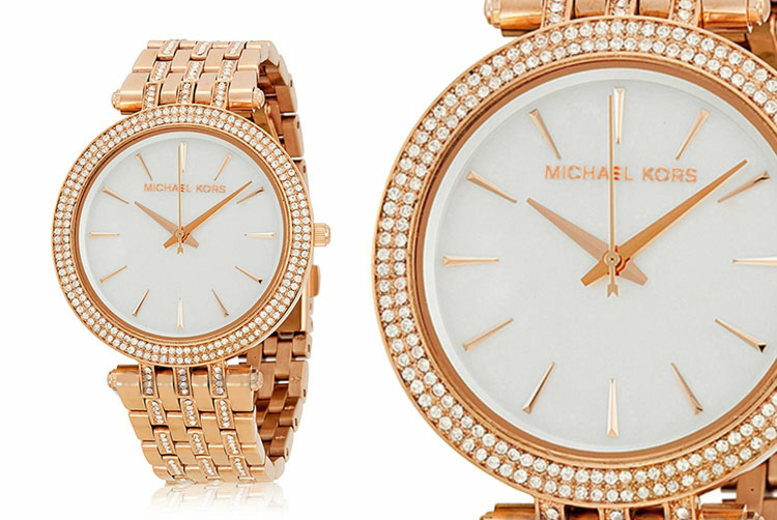 Get a Michael Kors MK3220 watch. 40mm case with crystals circling the face. Mother of pearl dial with a gorgeous rose-gold accents.